Updated: Click here for the 2018 Nagahama Hikiyama Matsuri Festival Schedule. The Nagahama Hikiyama Matsuri is a major float festival held in mid-April in Nagahama in northern Shiga Prefecture. The highlight is child kabuki actors performing on four ornate floats. On Dec. 1, 2016 (JST), it was inscribed as a UNESCO Intangible Cultural Heritage of Humanity as one of 33 “Yama, Hoko, and Yatai float festivals in Japan.” The festival is held near JR Nagahama Station on the JR Hokuriku Line. Noon: The four floats are pulled (and pushed) from their neighborhoods to Nagahama Hachimangu Shrine (Noboriyama 登り山). 4:00 p.m.: The Naginata float arrives at the Otabisho rest place. 11:10 a.m.–11:50 a.m.: Performance of child kabuki play on the second float at Nagahama Hachimangu Shrine. 12:20 a.m.–1:00 p.m.: Performance of child kabuki play on the third float at Nagahama Hachimangu Shrine. 1:30 p.m.–2:10 p.m.: Performance of child kabuki play on the fourth float at Nagahama Hachimangu Shrine. *The order of the floats’ performances is decided on April 13 via the Kuji-tori ceremony (籤取り式の儀) where they draw lots to see which float is No. 1, 2, 3, or 4. After performing at the shrine, each float will move across town along Otemon-dori road (shopping arcade, Kurokabe Square, etc.) to the Otabisho rest place. Along the way, they will stop and perform kabuki three more times with the last performance at the Otabisho starting at 7:40 p.m. Each float performs the same kabuki play each time. 9:30 p.m.: At the Otabisho rest place after all the floats finish performing, a short Shinto ceremony is held and the portable shrine in the Otabisho is taken out and carried back to Nagahama Hachimangu Shrine. 9:30 p.m.: The four floats start to leave the Otabisho to return to their neighborhoods. 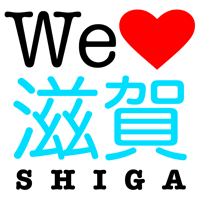 For details in Japanese, see or download this pdf file from the Nagahama Hikiyama Museum. Also see the map below or click on this map link.